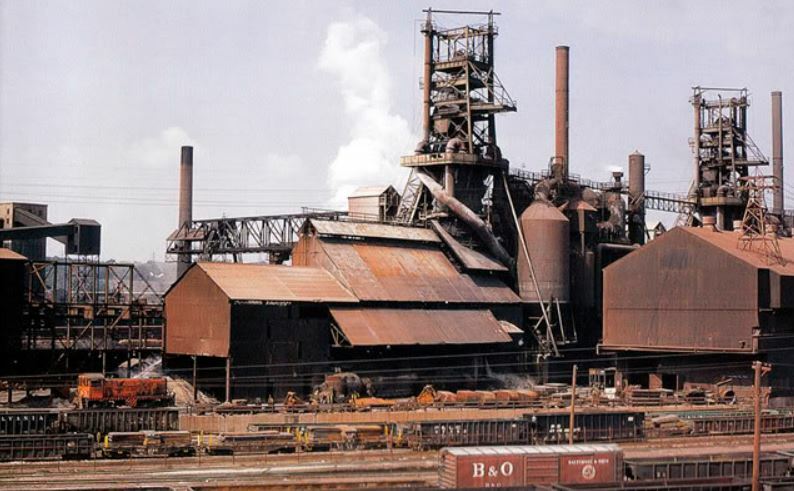 Long after America’s rust belt buildings have eroded to grass-lands, it’s possible that a sign of her once great industrial power will linger. Coal bed fires, it seems, are nearly impossible to extinguish – and there are many underground fires along coal seams in the states. 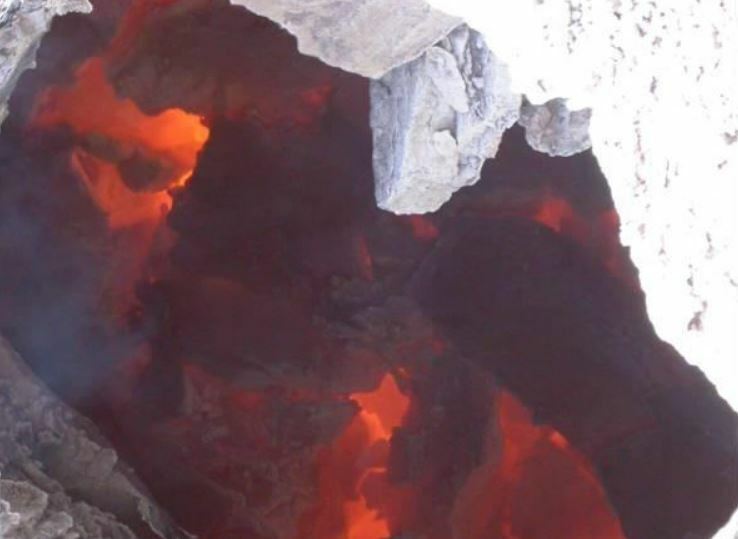 Australia’s Mount Wingen shows us a possible persistence record – Wingen, as Burning Mountain is called in the local aboriginal language, has been afire for almost 6,000 years. That fire likely began after a lightning strike. Or, perhaps it spontaneously combusted. Then the fire burned along a coal bed, following it like a wick through the ground. In 1828, when a white Australian first saw the burning mountain, he thought he’d discovered a volcano. The natives knew better, they had been keeping an eye on the fire for centuries and occasionally used its heat to prepare dinners. In 1829, a geologist arrived and realized the smoke came from a burning vein of coal, about 30 metres (100 feet) below surface and moving southward at a rate of a meter or so each year. It would take 300,000 years to reach Sydney (which is 300 kilometres away) but that won’t happen – the coal seam isn’t that long. The fire site itself is fairly innocuous, releasing a bit of natural pollution (carbon monoxide, sulphur dioxide, carbon dioxide, and a pinch of mercury and other naturally occurring elements). But this fire is not bothering too many people. In fact, it adds a couple of dollars to the New South Wales economy when tourists stop at the Wingen Craft Centre in nearby scenic Wingen to select a bit of Australiana art. But coal seam fires are not just tourist hooks. Most are downright nasty. There are a lot of these fires, almost all of them due to human activities – mistakes made in or around coal mining operations. In addition to emitting poisonous gases and heavy metals, coal seam fires add an enormous amount of carbon dioxide to the atmosphere. Each year, Chinese coal seam fires consume between 20 and 200 million tonnes of coal. (I know that’s a broad range, but consider it a good estimate for industrial information coming out of China.) Those millions of tonnes of burnt coal add 1% to the anthropo carbon dioxide spewed into the air. That’s an ugly statistic. Coal fires correlate well with industrialization. China, the biggest coal producer in the world (3.5 billion tonnes/year) has the most, though other countries are also internally combusting – especially India, Indonesia, Turkmenistan. The United States is the second most prolific conflagrationary nation, with 180 known coal seam fires burning at the moment. They range from Utah and Colorado to Kentucky and Pennsylvania. Twenty-one states likely have underground coal fires going, but Pennsylvania has the most, with at least forty-five. Smoke rising through fissures from coal seam fires beneath Centralia, Pennsylvania. Pennsylvania’s Centralia coal fire has pretty much consumed the entire town. Not much of the surface has ignited, but after sanitation workers lit a pile of garbage near a mine entrance in 1962, the coal mine caught fire and mining was abandoned. Economic depression and sulphuric smoke has a way of driving people away. At its peak, Centralia had over a thousand people. 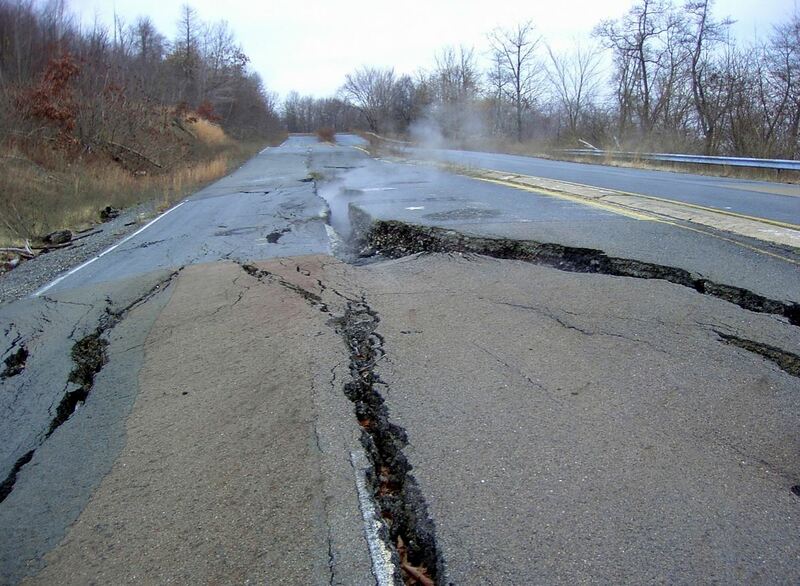 Now, with just ten inhabitants, Centralia is Pennsylvania’s least populated town. Not much to do there, except smoke frankfurters, I suppose. The municipality’s ten folks have a firetruck, making it the most fire-truck-per-capita-rich place in the world. With the major fires burning less than 50 metres below surface, you would think that the fire truck is essential. But apparently nothing ever burns on the surface. But as the coal burns below, sinkholes open up (some have collapsed streets) and deadly carbon monoxide rises through cracks and fissures, entering some of the 600 homes and buildings that have been abandoned. There were a number of attempts to quench the 50-year-old Centralia fire. They all failed. A trench was dug deeply to bisect the coal seam, but the fire had unexpectedly anticipated the effort and had already burned past the trench. The digging may have actually helped fan the flames. In another attack, engineers poured gravel and dust into boreholes, hoping to snuff the fire. But the fire was too hot. It ignited the dust and the cavity expanded. Geologists figure there is not enough water in Pennsylvania to drown the fire (the fire is too hot and the rocks are too porous – any flood of water would just drain away). Another idea – untested – would have isolated the entire mine and coal seam by digging away all its edges. That would have cost over half a billion dollars. So, the current plan is to let it burn and hope it dies on its own. It will. Probably in less than 6,000 years. This entry was posted in Engineering, Geology, History and tagged Australia, Centralia, Chile, coal, coal bed fire, coal seam fire, Pennsylvania. Bookmark the permalink.